Ken Shuttleworth is the Founder and Senior Partner in the Shuttleworth PLLC law firm. 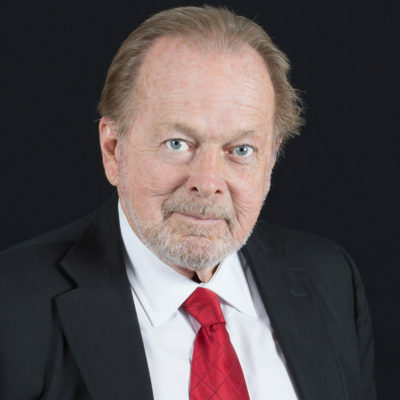 Admitted to practice in 1968, Ken Shuttleworth has been engaged primarily in representing defendants in civil litigation since 1969. Mr. Shuttleworth has represented internationally recognized corporations in litigated matters and has significant experience over the Eastern United States involving product liability for defendants. Mr. Shuttleworth has been admitted to practice before the Federal Courts in Tennessee, Arkansas, Mississippi and Alabama as well as the U.S. Court of Appeals for the Fifth and Sixth Circuits. He has served as president of the Tennessee Defense Lawyers Association. He is a member of the Defense Research Institute, and he was appointed by the Tennessee Supreme Court to the Commission for Lawyers Assistance. Mr. Shuttleworth is also a member of the Federation of Defense and Corporate Counsel. Mr. Shuttleworth is also a member of the Tennessee and American Bar Associations, Lawyers Journal Club and the Tennessee Bar Foundation.